Wilton Reassurance Life Company of New York is a life insurance provider that’s been operating in the state of New York since 1955. In 2006 they were acquired by a year-old holding company Bermuda, operating under the name Wilton RE. 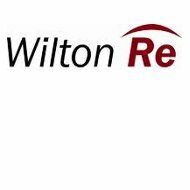 Wilton RE was originally established to provide reinsurance services to the life insurance market, making up for an ever-growing gap in services. Along the way, they acquired several other life insurance companies like Texas Life Insurance Company and Wilton Reassurance Life Company of New York. If online health insurance rates are what you’re after, we can give them to you if you enter your ZIP code into our search tool below. Sometime in the past, their website was discontinued and now all information is funneled through their parent company. Unfortunately, Wilton RE’s website makes no mention of Wilton Reinsurance Life or the products they sell. Because of this apparent conflict is unclear whether Wilton Reinsurance Life continues to operate as usual. It would seem that perhaps they are more focused on reinsurance in order to be more in line with their parent. Although we cannot say for sure, research seems to indicate that both the health and accident coverage offered by Wilton Reassurance Life are, or were, supplemental policies. In the case of health insurance, this would mean that coverage was supplied in addition to the primary health care plan an individual customer might have through another provider. As supplemental insurance is designed only to fill in the gaps left by primary insurance. Any extra benefits provided would only be paid out when the primary health insurance policy was exhausted. As for their accident insurance, it’s most likely structured in a way that’s similar to most other emergency supplemental insurance policies. If you were involved in an auto accident or a mishap at your place of work, your primary insurance policies would be first in line to make payments on all the services they cover. What’s leftover would be paid out by a supplemental accident policy. Sometimes supplemental policies also include lost wages if an individual is off work for a length of time. Because Wilton RE claims their main line of business is reinsurance, we would be remiss if we did not explain it to you. As a rule, insurance companies don’t make their profit simply by collecting premiums from customers. That’s easily understandable when you consider that just one claim could wind up in the tens of millions of dollars as compared to the thousands of dollars customers spend on premiums. No, their profit comes from investing those premiums in several types of securities that will bring a high return. However, where the potential exists for reaping great rewards, the same potential exists for suffering great loss. Reinsurance is a higher-level insurance product aimed at consumer level insurance companies in case they should suffer heavy losses or need increased cash flow. Reassurance is also there to protect smaller insurance companies from financial ruin in the event that they are sued. Essentially, reinsurance is simply an insurance policy for insurance companies. Wilton RE is a company built on private investment rather than a public offering. It has been the recipient of a good deal of investment capital from some of the biggest names in private equity including Stone Point Capital, Fleischer & Lowe, and Kelso & Company. As of 2011, the holding company enjoyed an “A-” rating from well-known rating services company A.M. Best. Individual ratings for Wilton RE’s subsidiaries are not available at this time. However, we do have business records filed by Wilton Reassurance Life at the end of the 2010 fiscal year. Those records show the company with working capital of just over $2.5 million, a policy surplus of $68 million, and total assets of $1.18 billion. The Wilton RE corporate headquarters are located in Bermuda. Their U.S. office, as well as the office of Wilton Reassurance Life, are located in Wilton, Connecticut. We have listed the address and telephone number of this office below for your convenience. Don’t waste another minute wondering whether you should check health insurance rates online, do it now by entering your ZIP code below!